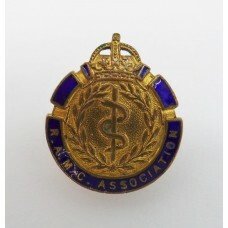 A King's crown brass and enamel lapel badge for the R.A.M.C. Association. 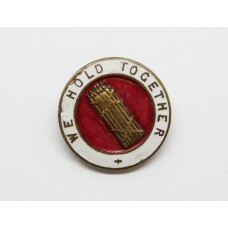 Numbered 28..
A first world war 9ct gold and tortoise shell sweetheart brooch for the Machine Gun C..
An enamelled 'We Hold Together' fascist lapel badge. Has minor damage to the enamel. 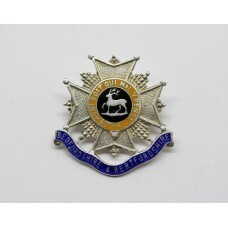 ..
A silver and enamel sweetheart brooch for the Beds & Herts Regt. Stamped SILVER o..